Kevin Sylvester interviewing Tiger Woods following the 3rd round of the Dell Technologies Championship. My first experience following Tiger Woods was my very first assignment for the PGA Tour back at the 2014 Honda Classic. I hadn’t even called a golf shot yet, and I had to follow the great Tiger Woods? Needless to say I was nervous back then. I stayed as much out of the way as I could, kept it simple, and watched in awe from inside the ropes. The assignment was for the first two rounds, and that was the event Tiger first hurt his back, or at least when it go so bad he couldn’t play. You know the rest of the story and how amazing his comeback has been this year. Remarkable is a fitting word. Tiger has played in a handful of the events I was assigned this year for PGA Tour Radio, but I did not get assigned to his group. I’m not complaining. All players are a great follow on Tour, and the number of stars continues to grow. I was not expecting to get Tiger Duty at TPC Boston either, but I was wrong and excited. Covering Tiger is a different animal than other groups. The galleries are the biggest, loudest, and move a lot. Navigating that to stay in position to call shots is a challenge. Tiger is also Tiger, one of the all time greats, if not the greatest player. There is mystique, some magic, and high expectations. I was fine with all of that. My concern was the fact that I hadn’t followed him yet this year. I was not used to how he operated or how Joe LaCava his caddie did too. It’s different in person than on TV and between the ropes is where you have to be to do my job. You have to be there, but not in the way, and with Tiger you do not want to be in his way. I accomplished that, and enjoyed every minute of following the big cat. Honestly, it was pretty much the same as with every other Tour player. The only exception, the galleries. They were huge, and it took some time to navigate my way around. The fans paid to see him, and I didn’t want to block that experience. Sometimes it was impossible, but most times it worked out. I was actually fascinated to see Tiger work within the crowds. He had to block many things out. Fans were constantly yelling “Tiger”, taking his picture, and moving to get a glimpse of him. Sometimes it bordered on commotion, but it never seemed to bother him. I can’t recall a single time when he backed off of a shot or putt due to fans. He’s used to it, and I wouldn’t mind getting used to it too. -Bryson DeChambeau approaches golf, uses different clubs, and swings differently than most PGA Tour players. It works, but he doesn’t play the game differently as many people think. He maps out the course and plays the angles like most golfers do. He attacked when he can, and plays safe shots when needed. It’s more tedious in practice and in the book, but he is simply looking at every option on each shot, instead of the one or two. Bryson will be a captain’s pick for the USA Ryder Cup Team. It’s a lock. Tiger Woods is also a lock, and I believe Phil Mickelson will be there too. The final selection is up for grabs, but I think Tony Finau is going to be the guy, unless Xander Schauffele can make a late charge. My prediction is Finau. 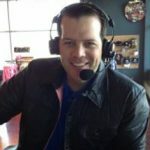 -I had an interesting conversation with a PGA Tour caddie this past weekend that surprised me. I asked him about some courses in the area the country he lives in and what kind of shape they were in. He told me he didn’t know because he doesn’t play golf. He added that he hates golf, playing it anyway. That was no the answer I was expecting! How can you be a caddie and hate golf? He said it’s easy, he likes working outdoors, using numbers, and coaching. Those fit the job description in the caddie handbook (there isn’t one by the way). -My partner and I lost our quarterfinal match last week in our league at Fox Valley. Following the match, my buddy told me his motivation for beating us was so he and his partner wouldn’t have to read about it in this column. I told him, don’t worry, you won’t! -I felt I need some more distance off the tee with my driver, and thanks to a conversation with PGA Pro Time Fries, I think I found it. Tim talked to me about launch angle and ball placement on the tee. I hit a high spin ball and thus have a lower lofted driver. He suggested I move the ball more forward in my stance and angle my shoulders differently to create a higher launch. He also added a suggestion on my swing path, which I employed. It worked. I hit the best drives I’ve hit all year, added 20-40 yards in length. It was incredible! Now, I didn’t just do this on the course, I put some work in on the range and I know I will have to spend more time there too. All of this just in time for the season to end. Poor timing on my part, but better late than never. Assess your game and go see your PGA Pro for a discussion and tune up.